Drive more safely by bringing your vehicle into our shop for auto glass repair in Winston-Salem, NC, by our experienced technicians. 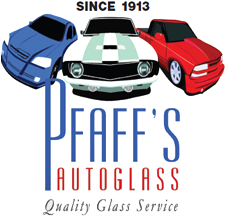 For more than 100 years, Pfaff's Auto Glass Inc has served drivers throughout the state with chipped and cracked windshield, windows, back glass, and mirrors. While a little crack or chip in your glass may not seem like a big deal, it is a serious safety hazard. By visiting our auto glass repair service, you reduce your risk of experiencing a car accident, as well as getting in trouble with the law or your insurance company. Keep yourself and your passengers safe by having auto glass damaged corrected as soon as possible. Even small cracks and chips in your windshield can impact your vision while driving. They also reflect light glare, making you more likely to be involved in an accident. See our technicians for auto glass repair to protect yourself and everyone who rides with you. If you do get into an accident, even a minor one, cracked or chipped glass makes you more likely to be injured. Our auto glass repair service helps ensure that your car is as protected as possible in case of a collision. Windshields, windows, and back glass factor into your vehicle's overall structural integrity. Once your glass is chipped or cracked, it can no longer safely withstand the same amount of impact force. Damaged glass is more likely to shatter in an accident, putting you and your passengers at risk of being cut by the broken glass. Visit our shop to repair your cracks and chips so you can drive safely again. Trust your auto glass repair needs in the hands of a company with decades of industry experience. Since 1913, our auto glass repair service has helped vehicle owners maintain their cars, trucks, vans, and RVs. We even keep commercial vehicles in top condition. No matter what you drive, you can count on us to ensure its glass is always strong and flawless. Explore our site to learn more about our auto glass repair options for trucks, vans, and RVs. 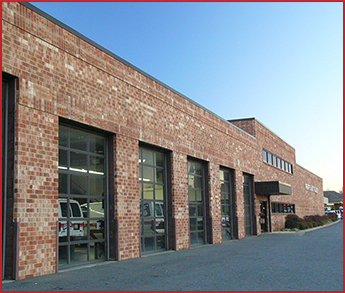 Our company services all makes and models, including both foreign and domestic. Take advantage of our mobile services to have your auto glass repair problem taken care of as soon as possible. By fixing your minor blemishes right away, you prevent them from developing into larger issues that require full replacement. Reach out to us to discuss our services and you will soon see why so many local drivers trust us to maintain their vehicles. Contact our auto glass repair shop to have your car fixed up good as new. We proudly serve drivers in Winston-Salem, Greensboro, Oak Ridge, Summerfield, Mebane, and Burlington, North Carolina, as well as the surrounding areas.